I’d be remiss if I failed to mention what I think was one of the more odd moments from my hockey season. 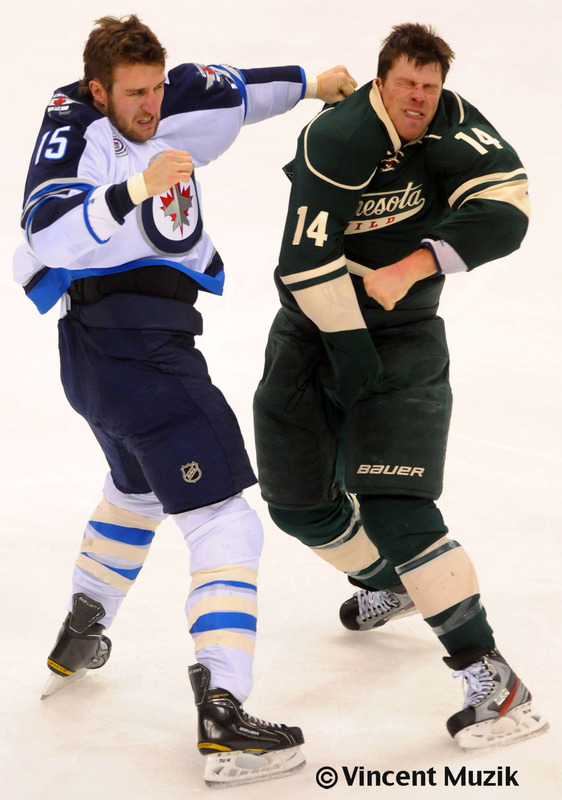 During the Winnipeg Jets-Minnesota Wild game back in February, the Jets’ Tanner Glass got into it with the Wild’s Darroll Powe. A fight during an NHL game isn’t unusual. What made it unusual was that the combatants are supposed to be bright human beings, at least brighter than your average dolt on the street. Besides the fact they are both from the providence of Saskatchewan in Canada — surprise! — they also have another thing in common: They both attended Ivy League colleges. Glass went to Dartmouth and Powe went to Princeton. And they spent all four years there, which means it’s likely they are Ivy League graduates! You won’t know that by reading their bio info on their respective team’s web sites because it’s not mentioned. A missed opportunity to get a story line out there, but that’s a subject for another blog post. Nevertheless, I don’t think either one of them majored in any sort of government relations/diplomacy field of study. If they did, they’d probably get peace-loving Canada into a war with another country. Seriously, who doesn’t like Canada? Than, again, hockey doesn’t lend itself to on-ice diplomacy.